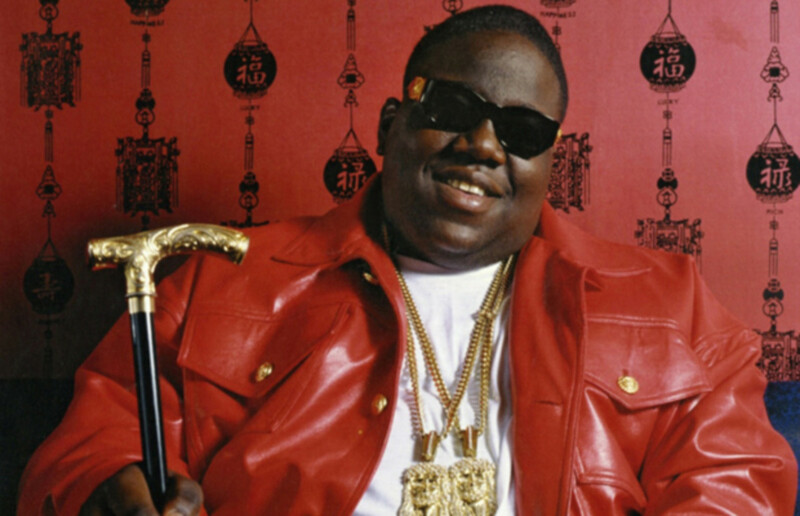 Today we pay tribute to the late Christopher Wallace, better known as Brooklyn born rapper The Notorious B.I.G. 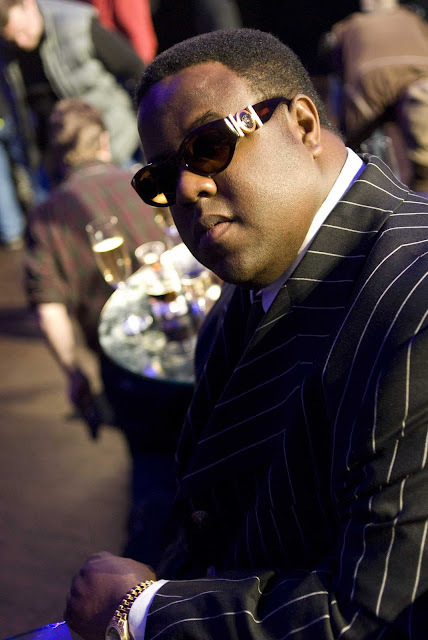 Best known for his legendary songs such as ''Mo money mo problems'' and ''Big Poppa'' but I personally love him , other than his music, for his style. His fashion sense had a bigger influence on hip hop culture than we realise. Although short lived, his career made a great impact on the styles of many other rappers around till this day. He was one of the first rappers to start rocking bathing apes and definitely lead the way for the rest of today's rappers such as Pharrell. 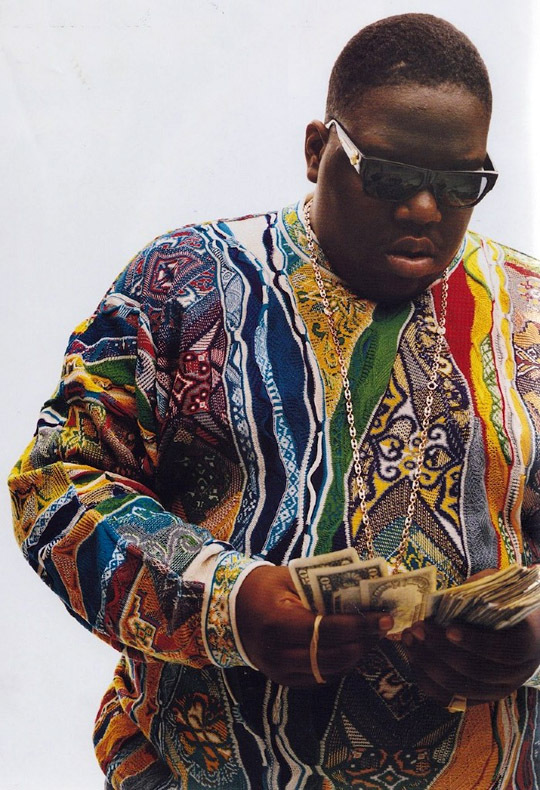 Biggie wears an iconic Coogi sweater. 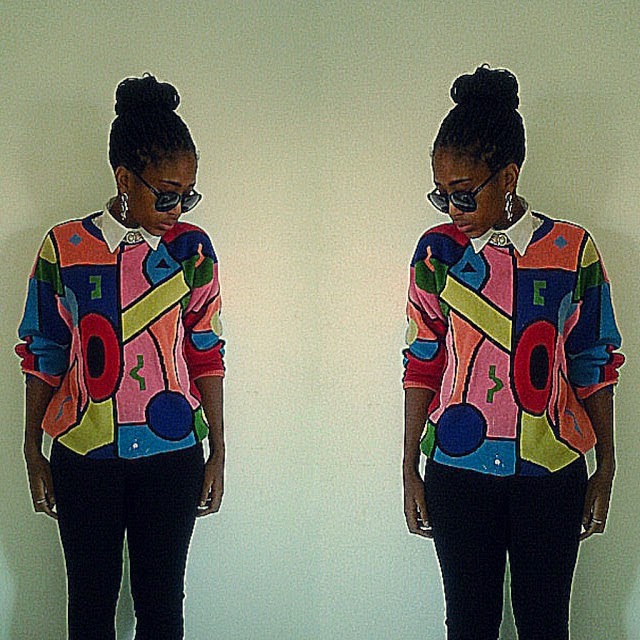 Similar colourful sweaters have been seen on the backs of rappers like Drake. What is Biggie without his GIANNI VERSACE VINTAGE Medusa Sunglasses. This accessory became his trademark and has most recently also become a part of the styles of so many rappers today. This specific shirt I would personally really want to have. These shirts in the 90s represented the epitome of wealth but now stand for vintage. The Jesus Piece or pieces. If you think the Game's 'Jesus Piece' album birthed the trend, you're wrong. Biggie inspired this trend over 20 years ago. Once again I remind everyone that your personal style is more important than any trend but learning to fuse the two is a skill.